Vision Maker Media announced a grant this week to expand the mobile application and continue film production through 2014. Last year, Humanities Montana funded initial filming and app construction. In June 1964, heavy rains and the collapse of two dams in northwestern Montana resulted in the deaths of 29 people and relocation of hundreds on the Blackfeet Indian Reservation. GPS coordinates in the app allow visitors to the flood sites to open pertinent videos. Interactive technology lets users upload responses to a database. Also involved in the project is Brett Oppegaard, an assistant professor at WSU Vancouver and the project’s mobile director, and David Grewe, a WSU clinical assistant professor of communication and editor of the documentary shorts. 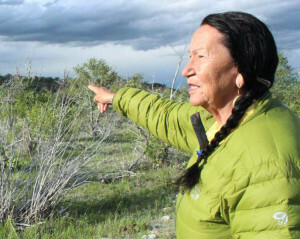 Torsten Kjellstrand, a visiting assistant professor at the University of Oregon, and Blackfeet journalist Lailani Upham oversaw filming and community outreach.